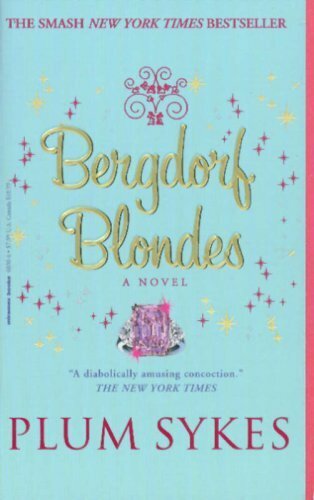 This novel is yet another of the chick lit genre that allows me to picture a life completely removed from my own. Being far from the reality in which I belong to, it isn't that hard to imagine inhabiting that world because you see it in the movies, and it reeks so much of pop culture that you can't help but recognize stuff. 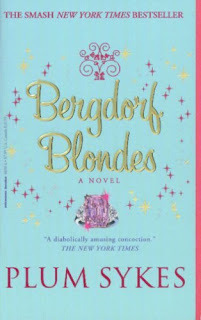 Bergdorf Blondes comes handy with its built-in glossary (well there were several in various parts of the book). It's a good thing because it allowed the author to get away with not defining each and every term (jargon) she used. Doing so would have taken away from the flow of the narrative. The story is told from Moi's perspective. A magazine writer who moves around in New York's It crowd. Reading it, I was thinking of Janie (from Trading Up and Four Blondes ), who I imagined moved around in the same social circles as Moi and Julie do. The only difference was, Moi was younger and was employed. The plot was a bit predictable. From the moment she met Charlie it was obvious that there was something more to him. I truly thought though that the main character had more sense than most of the Park Avenue Princesses she hung out with. But when she just kept finding herself in the company of the wrong guys, it got harder to keep faith in her character. Plus she obviously can make a life away from the glitz and glamor, but she doesn't want to, even when she's already drowning she insists in swimming in the same waters.